AudioMulch’s simplicity is a big part of its appeal. It’s modular and customizable, and has network sync and surround capabilities, but it opts for a selection of useful objects instead of a zillion-object smorgasboard. The 1.0 release should make it much easier to learn: the passionate AudioMulch community has contributed a host of new example files. 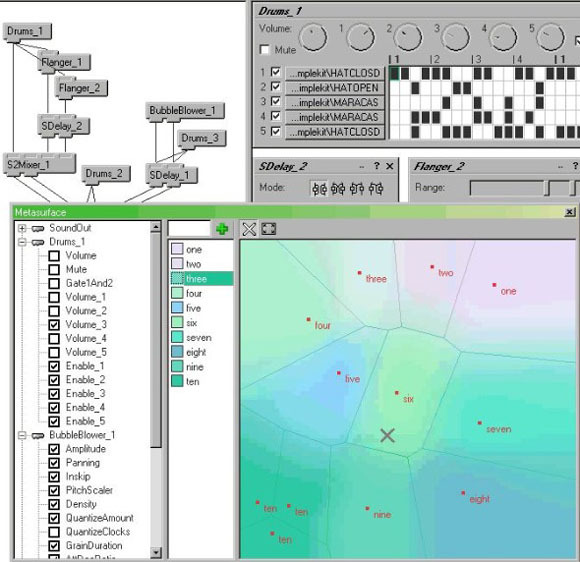 I’m too deep into Max/MSP/Jitter and Reaktor to get into AudioMulch; when I tried it I felt it was missing some things I liked. But if you’re looking for something cheaper and streamlined and you’re on PC, this could be it. There’s a 90-day trial (wish others would do that!) so you get a full evaluation to decide. Let us know what you think!